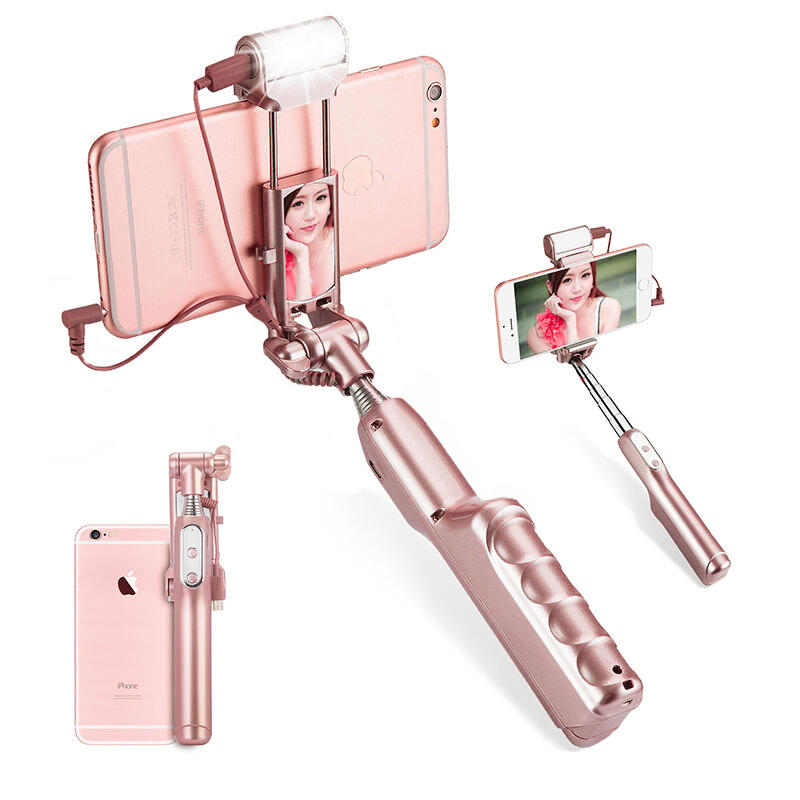 Successfully Added Selfie Stick For Android + iOS - 270 Degree Angle Rotation, 1500mAh Battery, LED Flash (Rose Gold) to your Shopping Cart. Take awesome selfies and panoramic travel pics with this multifunctional selfie stick, coming with a powerful lamp and a cool extendable design. Sometimes there is simply no one around who can take a great pic of you. Whether you are traveling alone, don't want to bug your friends with your picture taking needs or simply, genuinely enjoy taking selfies — this cool selfie stick is just for you. The selfie stick offers you 2-in-1 photo taking, letting you take photos with both front and rear cameras. With a 270 degree rotation, you be able to get the perfect distance and angle when snapping that selfie. The adjustable LED light will let you get the best lighting for your photos even after sundown or in poor lighting conditions. The selfie stick comes with a powerful battery — 1500mAh — its energy-saving and lets you use the built-in LED for up to 72 hours. The selfie-stick is super easy-to-use, like you would expect, and you won’t even need a Bluetooth connection or an app to download. Simply use the volume shutter control on your phone as a trigger and get ready for stunning selfies! The Selfie Stick With Lamp For Android and iOS comes with a 12 months warranty, brought to you by the leader in electronic devices as well as wholesale cell phone accessories..